Glitches • A much-criticized provision is among reasons lawmakers seek to tweak the law before it takes effect. 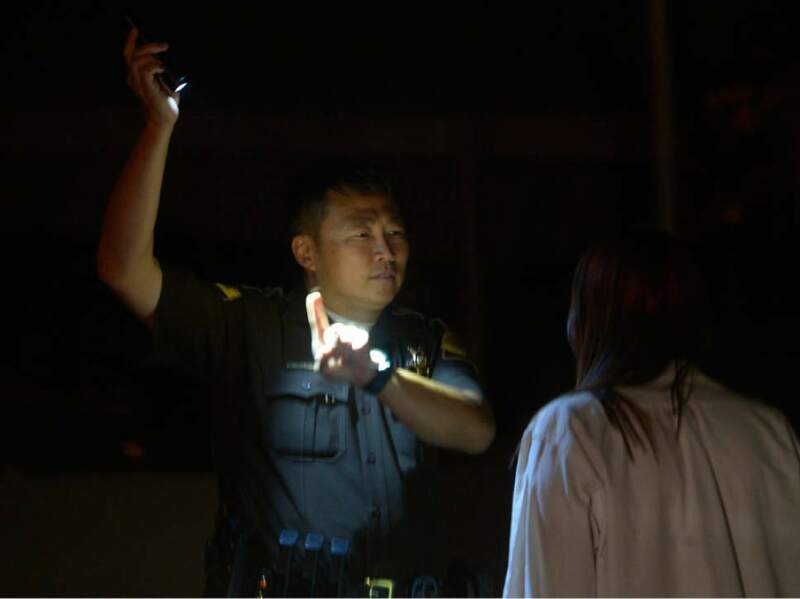 Leah Hogsten | Tribune file photo Utah Highway Patrol Trooper Terry Buck gives a suspected impaired driver a sobriety test October 31, 2014. Steve Griffin | The Salt Lake Tribune Rep. Norm Thurston, R-Provo, talks about HB155 during the third reading of the bill that amends provisions related to driving under the influence during debate in the House of Representatives at the State Capitol in Salt Lake City Thursday February 23, 2017. The bill passed the House 48-26 and advances to the Senate. Utah&apos;s new toughest-in-the-nation drunken driving law contains a little-noticed provision that would impose a not-a-drop-of-alcohol-before-driving standard for two years on foreign immigrants who obtain driving licenses here. "Prosecutors think it could become constitutionally problematic" because it would treat native and foreign drivers of the same age or experience differently, Will Carlson, a prosecutor for Salt Lake County speaking for prosecutors statewide, warned legislators on Wednesday. He added that prosecutors worry "that may have unintended consequences leading into areas akin to racial or ethnic profiling in traffic enforcement." 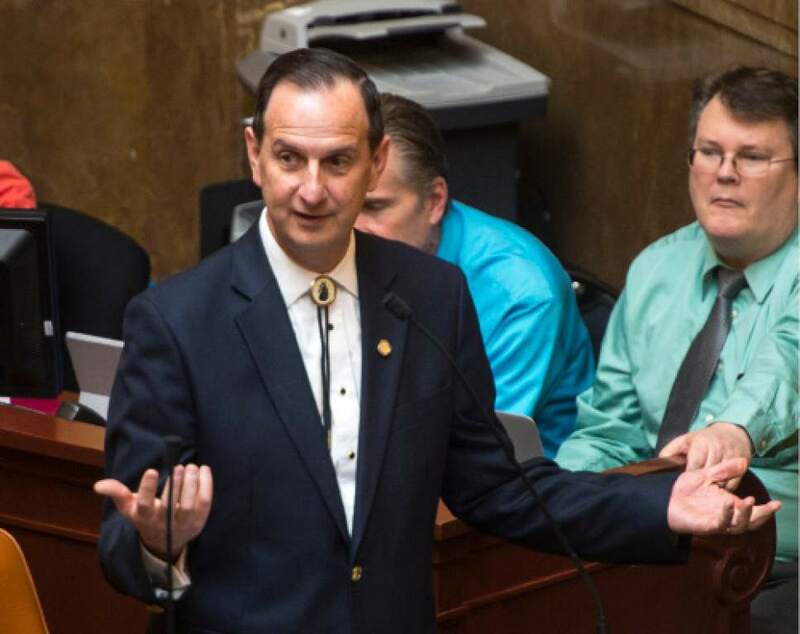 It was listed as one of several unintended consequences of HB155, known best for making Utah the first state to lower the blood alcohol content (BAC) for when a driver is presumed to be drunk from 0.08 to 0.05. Gov. Gary Herbert signed that bill into law, but called for it to be tweaked before it takes effect on Dec. 30, 2018  possibly in a special session just to focus on it. The Transportation Interim Committee started looking at some of the possible glitches on Wednesday. Its House chairman, Rep. Mike Schultz, R-Hooper, said the committee will not consider full repeal of the law, only amendments to it  and the problem with new immigrants was at the top of the list. All Utah drivers under the legal drinking age of 21 currently are banned from driving after drinking even a drop of alcohol. HB155 sought to expand that limitation to all new "novice drivers" who obtain a license for the first time  even if they are older than 21  for a two-year period. Rep. Norm Thurston, R-Provo, sponsor of the bill said, the idea was that since they are developing new driving skills, they are at high risk  and "if they have any alcohol at all, it&apos;s going to affect them." The bill&apos;s definition of "novice driver" includes international immigrants who obtain a U.S. license for the first time in Utah  even if they had licenses abroad. Both prosecutors and defense attorneys called Wednesday for it to be stricken from the new law because it does not consider previous experience. Sen. Karen Mayne, D-West Valley City, also called for removal of the total drinking ban on novice drivers who are older than 21. "We need to fix that. A novice driver at 19 and a novice driver at 40 are totally different animals," she said, adding that older drivers are "seasoned and mature and know what they are doing." The committee focused on safety issues in the bill, discussing them with members of a DUI subcommittee of the Utah Substance Use and Mental Health Advisory Council. Richard Mauro, executive director of the Salt Lake Legal Defenders Association, said current field sobriety tests are designed to identify and fail people who have a BAC above .08  and some people between 0.05 and 0.079 might be able to perform well in them. He worries that could lead to more challenges of DUI arrests, and argued it is a reason for possible repeal. The Senate chairman of the committee, Gregg Buxton, R-Roy, questioned if it may be wise to allow lesser penalties for those arrested with BACs between 0.05 and 0.079. Carlson said prosecutors oppose that because it would complicate cases that involve both drinking and drug use  where a driver may have a low BAC, but was also impaired by drugs and likely deserves a stiffer penalty. Schultz said the committee next month will discuss how to lessen or resolve problems the bill may create for tourism and the hospitality industry, and will also take public testimony about problems. Thurston said he is working to solve some other issues, too. For example, the bill&apos;s definitions accidentally would make it a Class B misdemeanor for anyone with a 0.05 BAC or greater to carry a weapon  because weapons laws use DUI laws to define drunkenness. That would make criminals out of weapons carriers who are not driving, and who possibly even take a taxi or walk. Thurston said he also wants to more clearly address what civil liability a bar or restaurant owner  or even the host of a party  may have under dram shop laws for guests who drink, then are involved in a car accident and are found to exceed the new lower 0.05 BAC standard. Utah Highway Patrol Capt. Steven Winward told lawmakers the bill already may be cutting down on drinking and driving. The patrol&apos;s DUI squad reports "running into people now who already think the law is in effect" and choose not to drink and drive, Winward said, adding it appears that Uber and Lyft ride-hailing services "are getting more business."